If you cook: the New Signature Kitchen Suite Appliances are here! The Signature Kitchen Suite 36-inch Dual-Fuel Pro Range and matching Vent Hood. on the new range is made with chromium that is durable and resists scratches. convection oven features an internal water reservoir. evenly while the steam helps preserve texture, appearance and taste. the crust is evenly browned. can make that high quality and taste at home for my family. 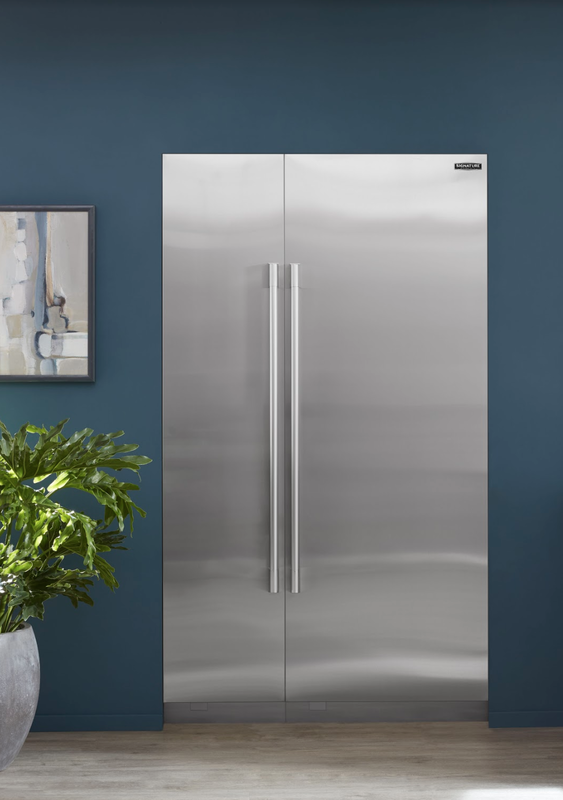 The Signature Kitchen Suite featuring the Integrated 18” Column Freezer and 30” Column Refrigerator. to open the doors and this keeps our industrial design intact. configure them to match my needs. The Signature Kitchen Suite: 36” Duel-Fuel Pro Range and matching Vent Hood. campaigns and regional residential new build and remodels.